Join us in the heart of Carmarthenshire for an afternoon and evening of food and entertainment at the Fos Las Racecourse. 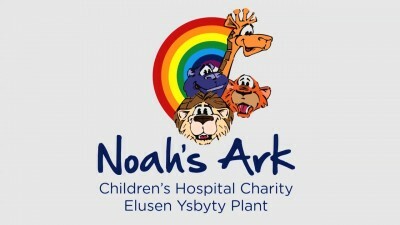 The Noah’s Ark Charity has been chosen as a joint beneficiary of this annual event with all proceeds going towards the care for children who need hospital or hospice care in Wales. The charity race day is a relaxed and enjoyable event which starts with a drinks reception and is followed by a three course lunch served in Brindles Restaurant. Afternoon tea and a post-race auction will be followed with evening entertainment in the form of a live band. There will be a ‘bookies’ operating both in Brindles Restaurant and on the course for those who fancy a flutter. Table packages for 10 in Bridles Restaurant are priced at £1200 (Inc VAT) while hospitality boxes for 18 to 20 people are £2,200 (Inc VAT). Both packages include an arrival drink, a three course lunch, afternoon tea and entertainment.